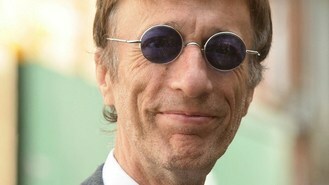 Bee Gees star Robin Gibb is to make his classical debut with a concept album about the sinking of the Titanic. The singer, who has been battling ill health for many months, is also due to perform at the premiere of The Titanic Requiem which will be launched with a concert in London in April. Gibb, 62, said recording the album with the Royal Philharmonic Orchestra has helped him "on the road to recovery". The chart legend, who has collaborated with his son RJ on the new composition, is understood to have received chemotherapy in recent months after he was diagnosed with colon cancer last year. He has also been in hospital repeatedly after suffering a twisted bowel - a condition which led to the death of his twin Maurice. The announcement of the release of his Titanic album coincides with the centenary of the sinking of the "unsinkable" luxury liner. It is also just days after at least 11 people died as the cruise ship Costa Concordia capsized off the coast of Tuscany. The symphonic album, recorded over the past year in London's Air Studios, features vocals from Gibb himself as well as tenor Mario Frangoulis and teenage choirgirl Isabel Suckling. Gibb, who performs the track Don't Cry Alone, said: "It has been an incredible experience working with my son RJ. There is a creative freedom and uninhibited state that comes from working with a family member. "Working on this album and with RJ has been a driving force, and one that has helped me on the road to recovery." The premiere concert will take place at the Central Hall in Westminster, London, on April 10, with the album due for release on March 19. Amy Winehouse's father has announced a benefit concert will be held in tribute to the late singer. JLS are the stars of this year's Sport Relief single - and are lined up to play a special charity show to support the event. Bruno Mars has had a cocaine possession case against him ended in the United States. Sir Paul McCartney is to reveal more about his new album Kisses On The Bottom by webcasting the launch. LL Cool J is to host this year's Grammys. Johnny Ramone's autobiography is finally being published, eight years after he died of prostate cancer. Taylor Swift has revealed her next album will be about the "absolute crash-and-burn heartbreak" she went through after having romance troubles. Florence Welch has revealed that her performance on the last series of The X Factor was "one of the most high-pressured things I've ever done".